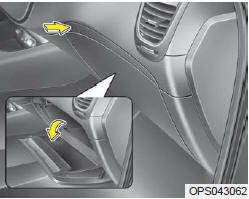 To open the glove box, push the button and the glove box will automatically open. Close the glove box after use. Always keep the glove box closed while the vehicle is in operation.